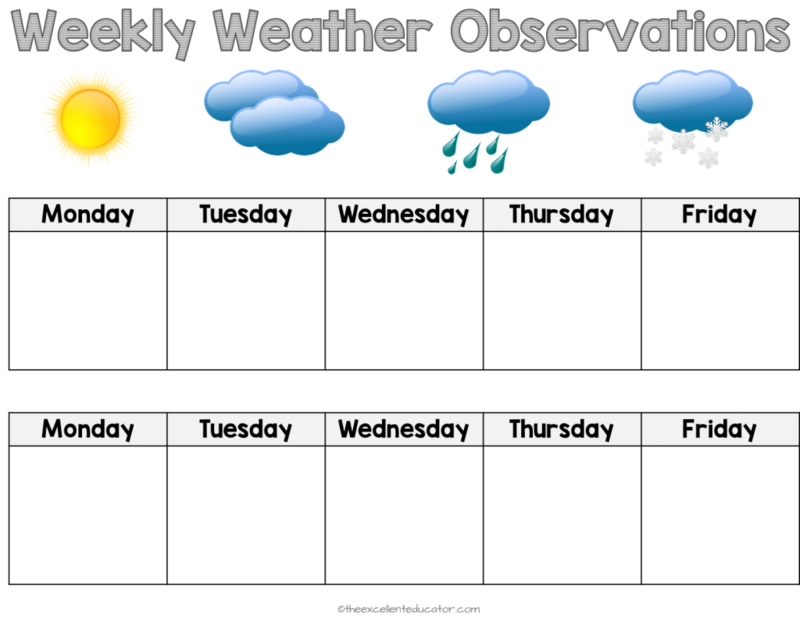 How many times do you or your students refer to the weather each week? Most teachers talk about the weather daily and if you’re anything like me, you have a cute weather song to go with it! I noticed how much my children enjoyed predicting the weather and decided to create an opportunity for them to record the weather data and compare. I used this simple recording sheet and at the end of each day children recorded the weather. We kept track of the weather for the week and compared, seeing which days were similar. We eventually started keeping track of two consecutive weeks and compared those changes! Surprisingly my students took pride in this daily routine and got pretty good with some key science: processes of observing, comparing, and recording! Here is an example of children who completed a week weather observations and dictated what they drew. Can you think of ways this can work for you? 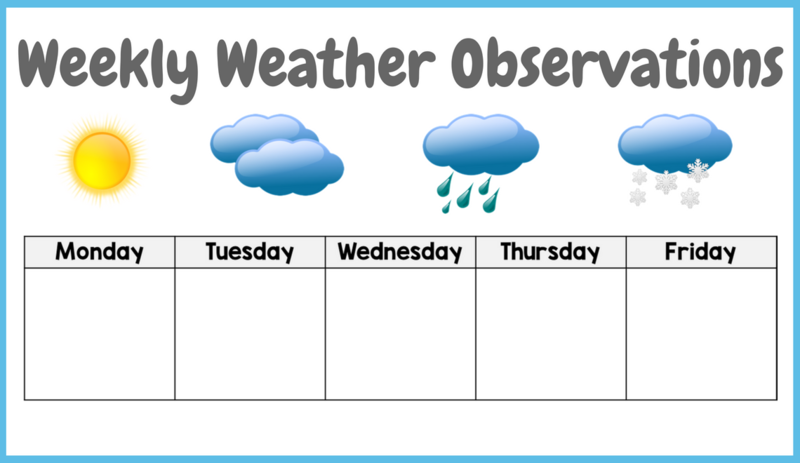 You can create individual weekly weather observations for each child. 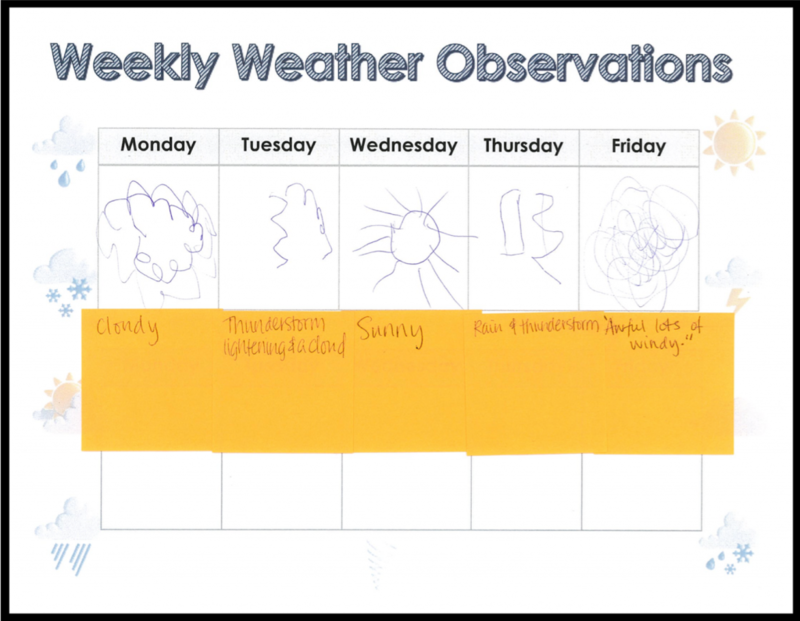 You can create a large group weekly weather observation chart for the class or create a weather journal that stays in the science or writing center. The possibilities are endless and I am certain you’ll figure out what works for you! Hi Masumi! I love that you took the idea and made it your own! Now that is an excellent educator in action! Please send pictures or a video if you get a chance! I’d love to see this!